"For track use, the Z06 Carbon is the best balanced Corvette yet. It combines the lightweight and naturally-aspirated Z06 engine with the road-holding and braking of the ZR1," said Tadge Juechter, Corvette Chief Engineer. "For technical tracks like Laguna Seca, the Z06 Carbon could shave up to three seconds off the Z06 lap time." This limited edition Z06 will boast Brembo carbon ceramic brakes with specific dark gray metallic calipers. These powerful brakes were first introduced on the ZR1. Black 20-spoke 19-inch front/20-inch rear wheels complement the car's Michelin PS2 tires. 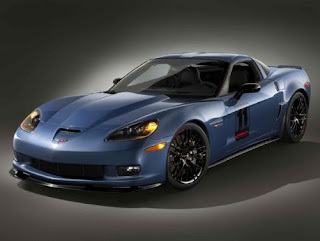 Other mechanical features include Magnetic Selective Ride Control for the first time on the Z06 and enhanced cooling. The car also features a special carbon pattern engine cover. Contact the Corvette experts at Purifoy Chevrolet for more information on this vehicle or any Corvette model! Come down to see 4 of our hottest cars and at 1pm, Colorado professional hockey goalie Craig Anderson will be signing autographs. Stop by Purifoy Chevrolet to see their great selection of used Corvettes, ranging from 1996 to 2009. 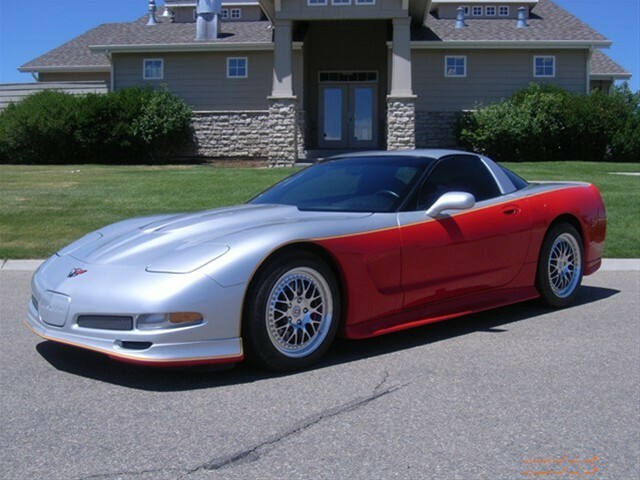 The pre-owned inventory includes a 1999 Lingenfelter Turbo Coupe and a 2007 Z06. Chevrolet presented a concept Corvette at the 2010 SEMA show...the Jake Edition. Based on the Corvette Grand Sport coupe, the Jake Edition adds Competition Gray Z06 wheels, matte Jake hood graphic, Jake wheel caps and Jake-logo floor mats. Although the Jake Edition Corvette is technically labeled a concept, we fully expect most of the car’s accessories to make production. Read the entire article and see photos at Left Lane News. Contact Purifoy Chevrolet for more information on Corvettes and their accessories. 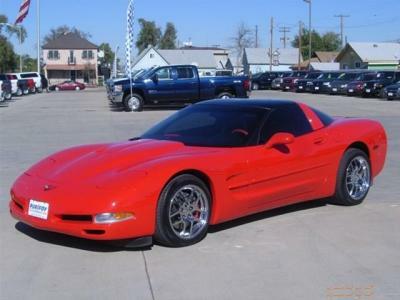 Stop by Purifoy Chevrolet to take a look at the 1997 Chevrolet Corvette that has just arrived on the lot. Torch red outside, black leather interior, low miles, and lots of extras! Purifoy Chevrolet is having our Thanksgiving Grocery Giveaway! Come by the dealership (located at 601 Denver Ave., Fort Lupton) and guess the dollar amount of the groceries in the back of the Chevy Colorado on the showroom floor. The closest guess will win the groceries. No purchase necessary. Last day to enter is Saturday the 20th. Winner will be announced on Nov 22nd. Beginning today, owners of 2011 Chevrolet models can access their vehicle information and OnStar services right from their smart phones. The myChevrolet and OnStar MyLink applications, available as free downloads, provide drivers with unprecedented connectivity to their vehicles from their Android or Apple iPhone device. Features of the apps, also available on Buick, GMC and Cadillac models, fall into three categories: location-based services, vehicle-specific information, and OnStar connectivity features. myChevrolet and OnStar MyLink are currently available for download, free of charge, from www.apple.com, or from www.android.com. 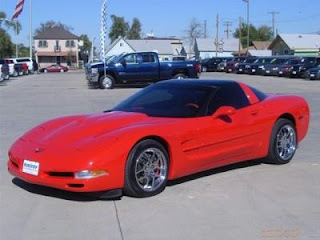 Learn more about the Corvette and other Chevrolet vehicles at Purifoy Chevrolet.